The quintessential Parisian home, with an intimate atmosphere. 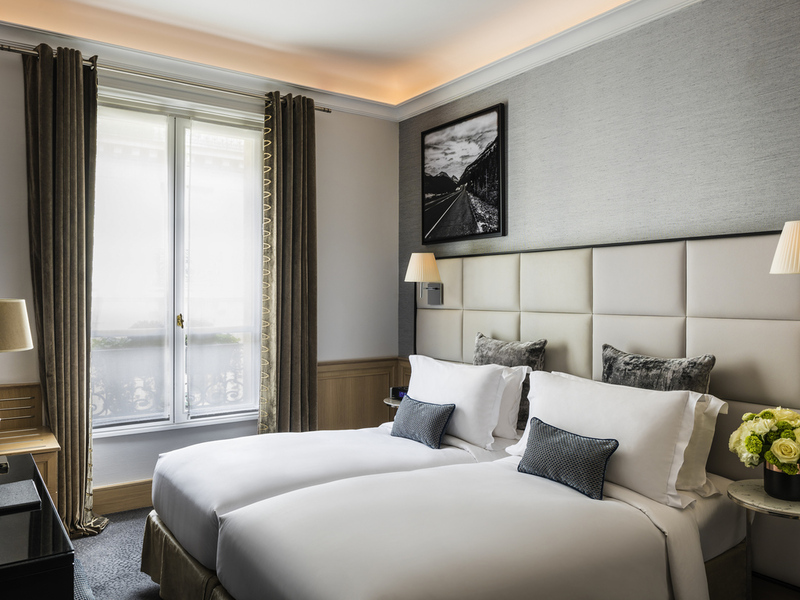 the Sofitel Paris Baltimore Tour Eiffel immerses its guests in the authentic and contemporary refinement of the French lifestyle. Savor innovative cuisine by Chef Jean-Philippe Perol in a warm and contemporary setting. 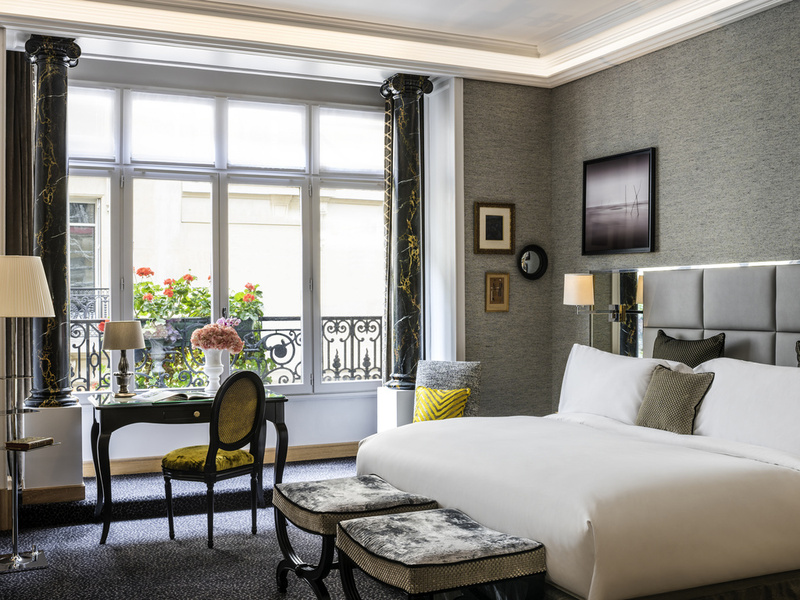 The Eiffel Suite on the 6th floor welcomes you to an enchanted stay in the heart of Paris. 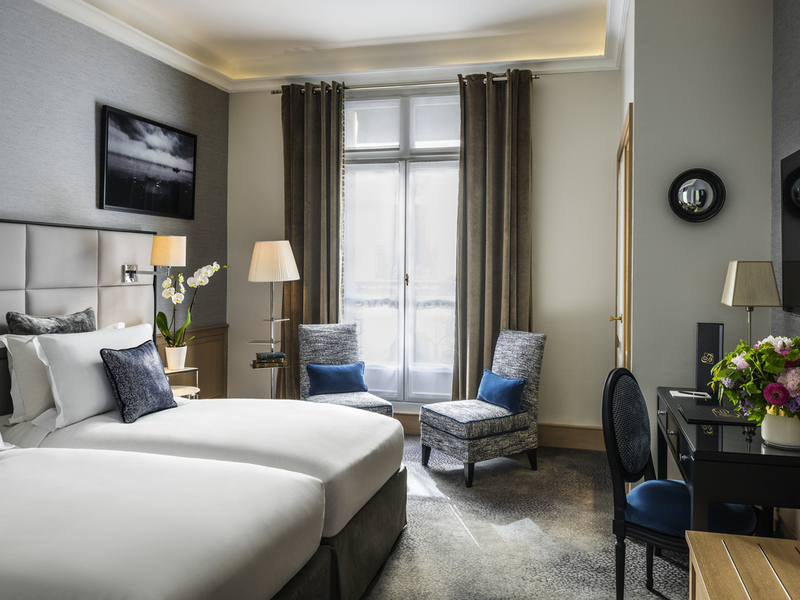 Paris is yours to explore thanks to With metro stations and a taxi stand right outside the hotel, Paris is at your doorstep. 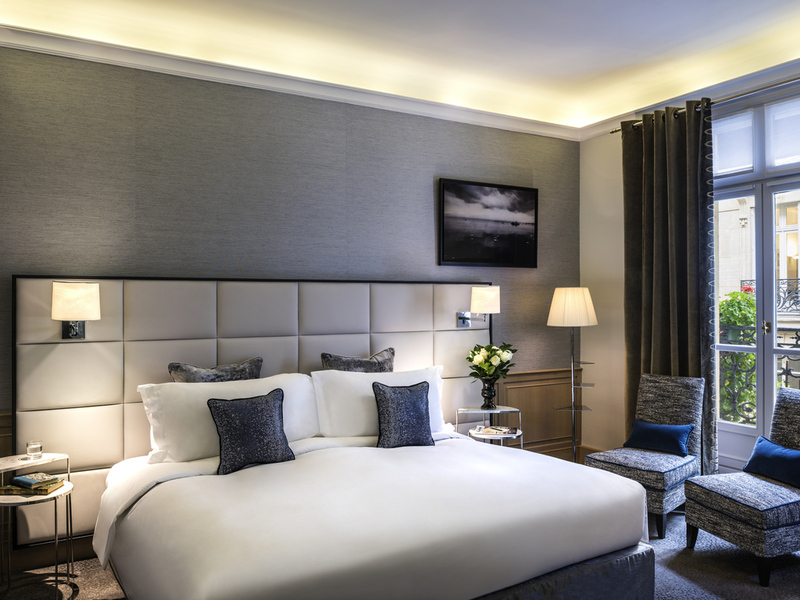 Each Sofitel is a unique blend of the French art de vivre and local refinement. 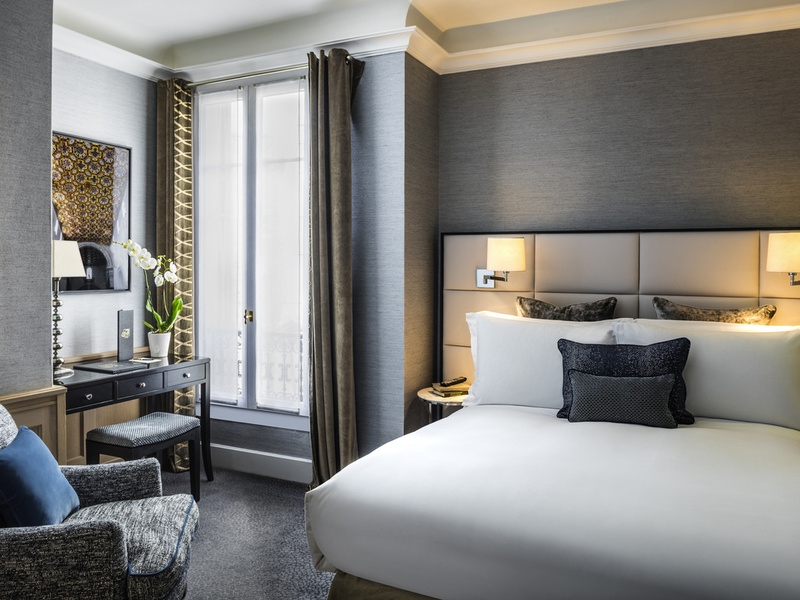 Designed with the help of a certain Gustave Eiffel, Sofitel Paris Baltimore Tour Eiffel invites you to discover a world of luxury behind its majestic Haussmann façade. 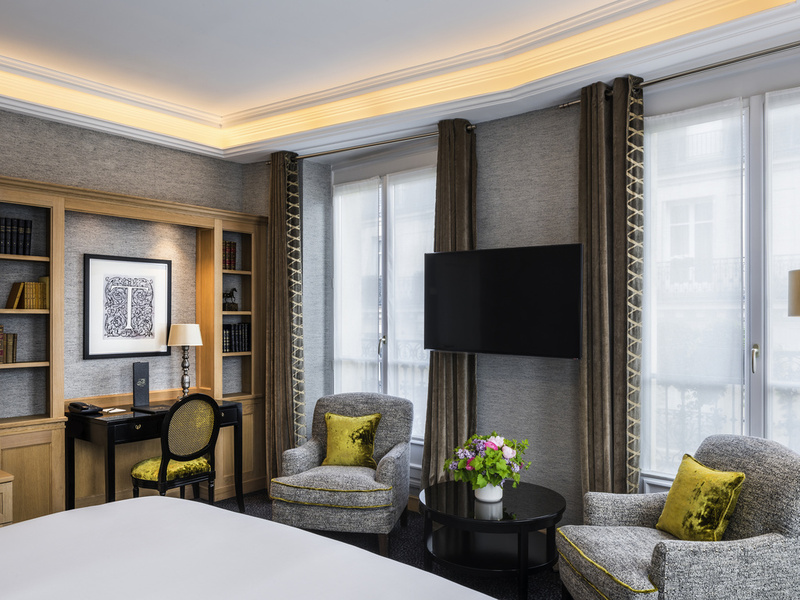 Named after Lord Baltimore, a loyal and notable guest who loved the City of Lights, this grand hotel was inaugurated in the Roaring Twenties - a time when Paris' flourishing arts scene prompted Hemingway to call the capital "a moveable feast." 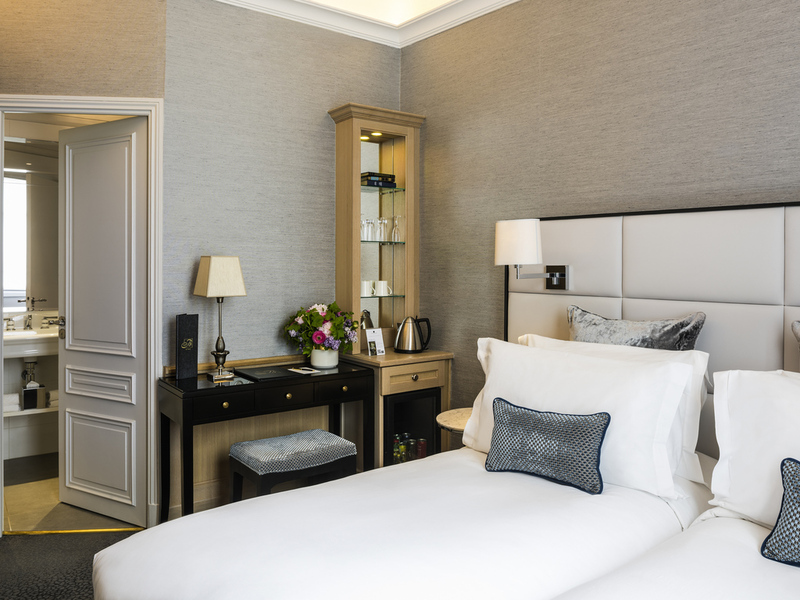 It's your turn to stay in this haven of elegance in the heart of the 16th arrondissement, between the Arc de Triomphe and Trocadéro. Savor a 5-course meal in the restaurant, where novelty exalts premium products, then retire to the comfort of your MyBed. Staying true to its calling, your 5-star hotel has been given a new lease on life by its enthusiastic owners - hoteliers at heart. In the footsteps of illustrious artists, from Cocteau to Dietrich, experience the rebirth of an authentic boutique hotel. By car, from the ring road: take the Porte Maillot exit. Keep going until Place de la Porte Maillot and take Avenue de la Grande Armée. Continue until Place de l'Etoile and turn right onto Avenue Kléber. The hotel is located at 88 bis on your right. By metro, get off at Boissière station (Line 6). The hotel is 55 yards (50 m) away, opposite the metro exit. iPhone docking station, and flat-screen TV, each room provides wellness and relaxation. 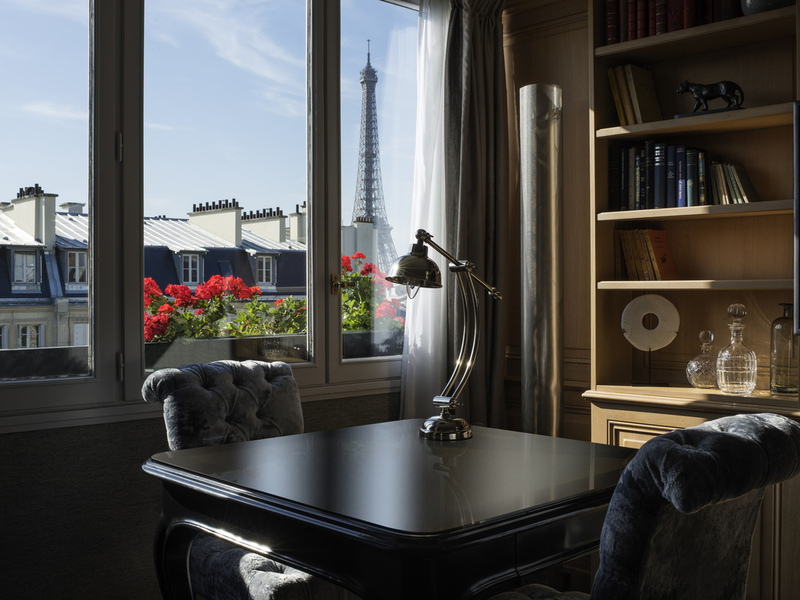 Some rooms enjoy a view over the Eiffel Tower. The hotel also makes connecting rooms available for families. 161 sq.ft (15 m²), double bed (queen size). Bathroom with shower. Contemporary decor, tea and coffee making facilities, minibar, iPhone dock, flat-screen TV, free WIFI. Connecting rooms available. 161 sq.ft. (15m²), twin beds. Bathroom with shower. Modern decor, tea and coffee making facilities, minibar. iPhone docking station, flat-screen TV. Free WIFI. Connecting rooms available. 161/194 sq. ft. (15/18 m²), queen size bed. Bathroom with bathtub or shower. 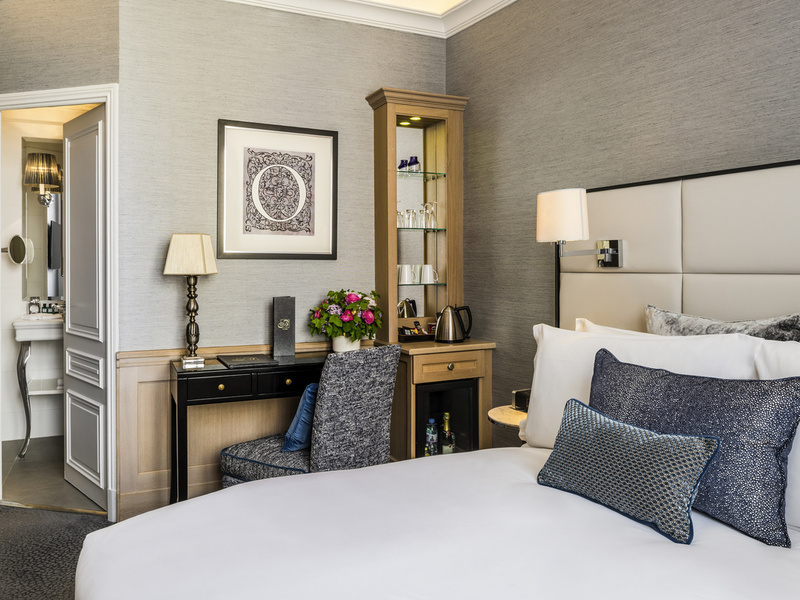 Contemporary decor, tea and coffee making facilities, minibar, iPhone dock, flat-screen TV and free WIFI. 161/194 sq. ft. (15/18 m²), 2 single size beds. Bathroom with bathtub. Contemporary decor, tea and coffee making facilities, minibar, iPhone dock, flat-screen TV and free WIFI. 215/269 sq.ft (20/25m²), double bed (queen-size). Bathroom with bathtub or shower. Contemporary decor, tea and coffee making facilities, minibar, iPhone dock, flat-screen TV and free WIFI. Extra bed available. 301/312 sq.ft. (28/29m²). 1 king size bed. Bathroom with bathtub or shower. Minibar, Nespresso machine, iPhone docking station, flat-screen TV. Free WIFI. Extra bed available. 290 sq.ft. (27m²), twin beds. Bathroom with bathtub or shower. Minibar, Nespresso machine, iPhone docking station, flat-screen TV. Free WIFI. Extra bed available. 344 sq.ft. (32m²), 1 king-size bed. Bathroom with bathtub or shower. Minibar, Nespresso machine, iPhone docking station, flat-screen TV. Free WIFI. View of Avenue Kléber. Connecting rooms available. View of the Eiffel Tower. 840 sq. ft. (78 m²), 2 connecting rooms each with 1 king size bed, separate lounge. Bathroom with bathtub. Minibar, Nespresso machine. iPhone docking station, flat-screen TV. Free WIFI. Discover the Carte Blanche restaurant and enjoy gourmet cuisine by Chef Jean-Philippe Perol in its new setting. The creative and generous menu offers contemporary cuisine that uses authentic ingredients. The Baltimore bar is the most intimate place in the hotel where wood panels and dim lights create a warm atmosphere. Trocadéro: A plush, elegant, plenary room which allows you to organize events, accommodating up to 120 people for a cocktail party, in a recently refurbished setting. Kleber & Foch: These two event rooms offer you an intimate, elegant space for private meetings, breakfasts, lunches, or private dinners... or can be opened up to offer you a combined surface area of 753 sq. ft. (70m²). 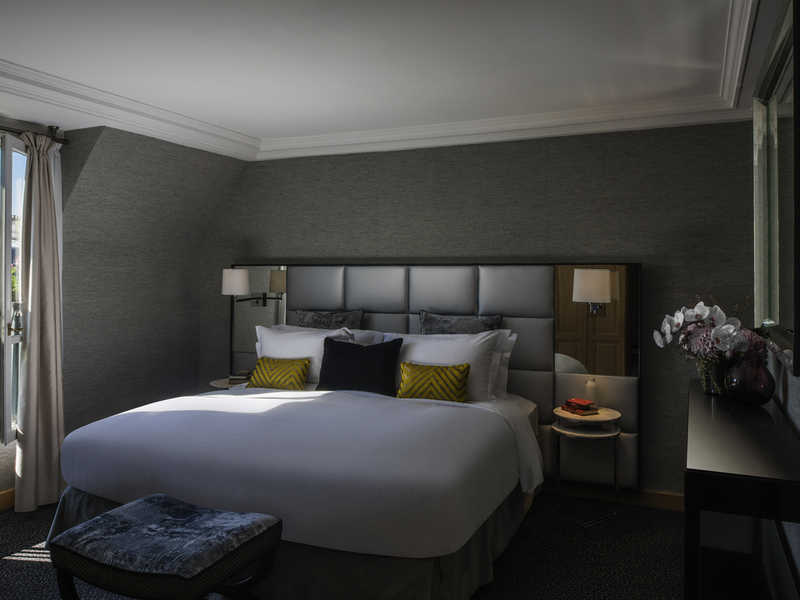 Eiffel: A naturally lit executive board room for up to 18 people in natural daylight with high-tech equipment. Your meals will be served at La Table du Baltimore. Our interactive screen, Tom, is the only one of its kind in Europe. It changes as the day progresses, so you can use it to discover all the hotel's amenities and our concierge's recommendations, as well as to create a fun souvenir of your stay. 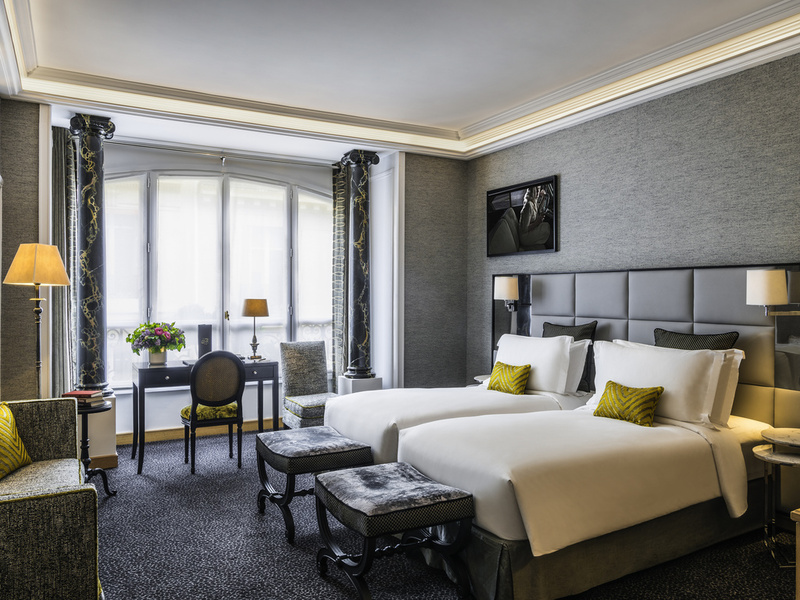 Ideally located between the Arc de Triomphe and the Eiffel Tower, enjoy a unique experience in the heart of the City of Light. We recommend a guided tour of the Eiffel Tower and an afternoon in the great fashion houses on Avenue Montaigne. Discover the most prestigious monuments in Paris.